What is a Do Not Call (DNC) List? Companies that make outbound sales and marketing calls will often get people who ask to be removed from their calling lists. These removal requests are often referred to and maintained on a Do Not Call (DNC) list which is held internally by the company. These lists may be held in databases, Excel spreadsheets or in contact management systems. When companies organise their outbound call campaigns, they are obliged to screen their data not only against the TPS, but their own DNC list as well. It is often considered that calling someone on your DNC list is more annoying than accidentally calling someone registered on the TPS as they have already specifically asked you not to call them again. 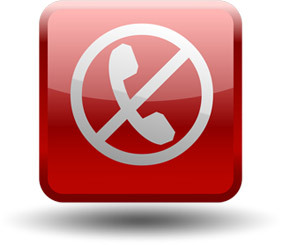 You can now upload your Do Not Call (DNC) lists to TPS Services and screen your data against them in order to ensure that you don't make calls to people who have previously requested that you not call them again. You can upload multiple DNC lists, especially convenient if you operate calls on behalf of more than one company. You can update your lists one number at a time, by copying and pasting up to 100 numbers at a time or alternatively by browsing and uploading an entire file. We also have a number of improvements in development that will help you manage your DNC obligations as painlessly as possible. will be there as standard for up to 10,000 numbers. For larger lists please contact us.